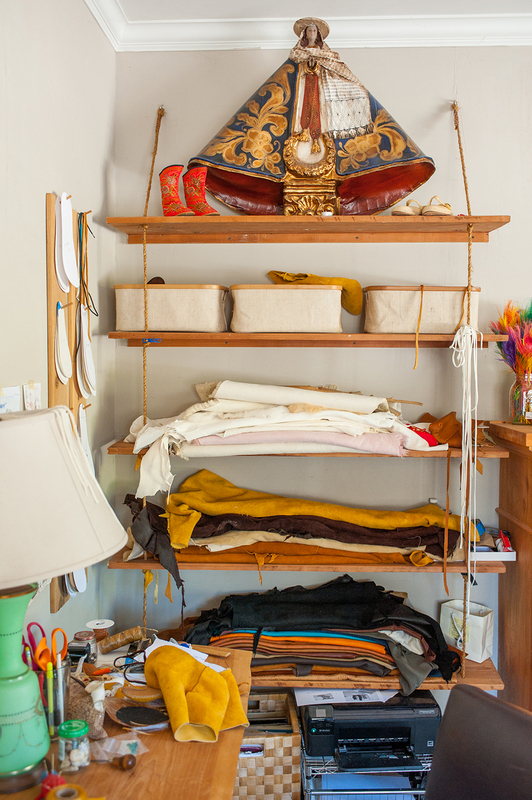 Along the perimeter of Merrill Page's living room, supplies are stacked, cowhides draped, and textiles are folded and shelved. 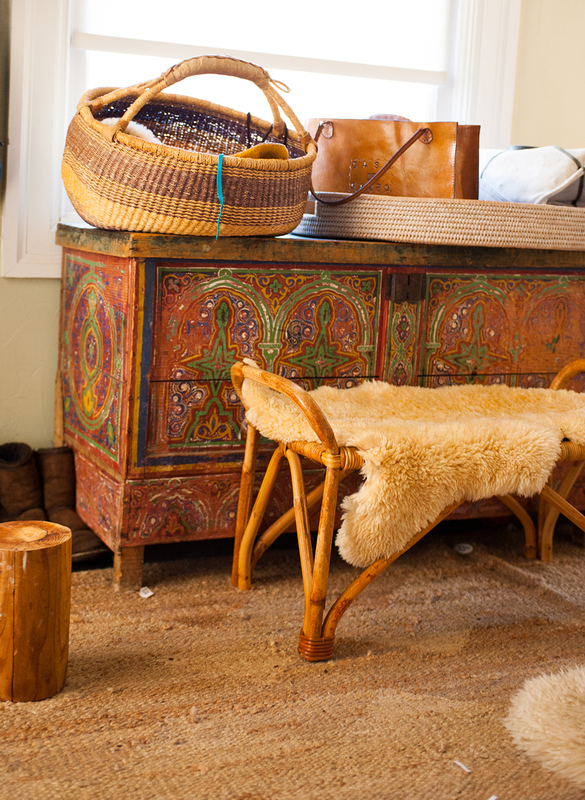 Sheepskins line the floor by the fireplace, its mantle trophied with horns and feathers, objects with future potential as accoutrements for hand-sewn moccasins. 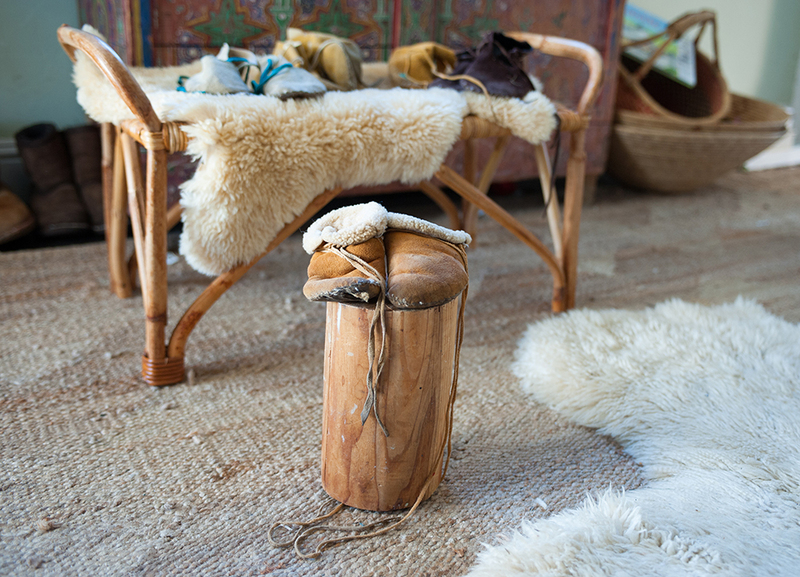 A live-edge cedar slab supported by sawhorse legs serves as her workstation, where she sews and embellishes moccasins with cowry shells and antelope horn buttons. Above it hang soles and patterns for future footwear projects. Daylight pours through thin white curtains, illuminating the workspace. In a previous chapter of her life, Merrill trained as a bodyworker. 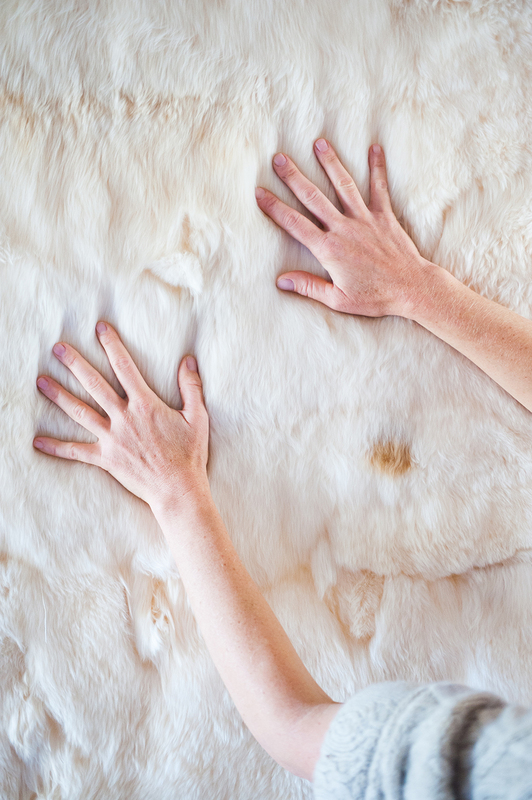 Bodywork is a term in alternative medicine used to describe healing therapy that involves physical touch or a mind-body connection. 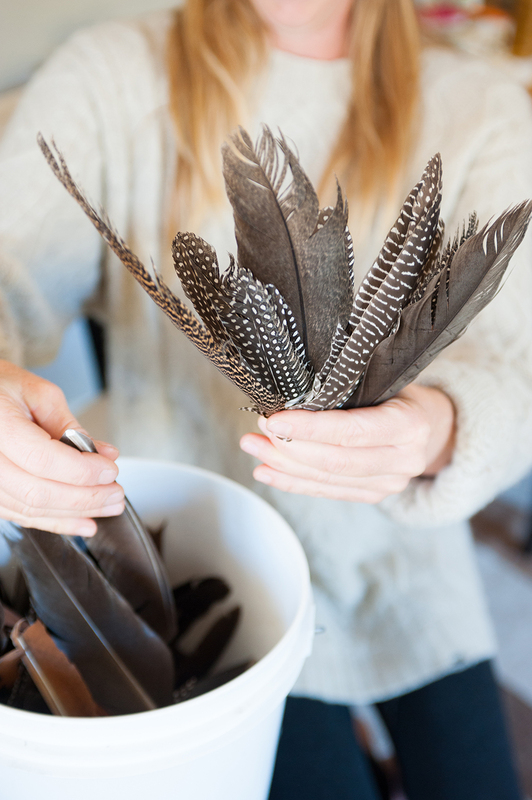 In her studies of the nervous system, tissues and bones, as well as her studies of healing through earth and plant-based medicines, she began to be intrigued by the wisdom of native cultures and their approach to health and healing. She discovered an outlook that considers health from an all-inclusive perspective, reconsidering inherent elements of life and our fundamental interactions with the planet, from food and movement to childbirth and clothing. From this research, she realized the importance of walking in soft-soled shoes to foster a physical closeness to the planet: the literal connection between the ground and our feet. Merrill discovered an outlook that considers health from an all-inclusive perspective, reconsidering inherent elements of life and our fundamental interactions with the planet, from food and movement to childbirth and clothing. From this research, she realized the importance of walking in soft-soled shoes to foster a physical closeness to the planet: the literal connection between the ground and our feet. When her first child learned to walk, Merrill put him in a pair of conventional children's shoes. When she did this she noticed that his brand new gait went from relatively stable and easy to "clumsy, tripping and falling." She searched for child-sized shoes with minimal soles, but had little luck, so she decided to make some herself. 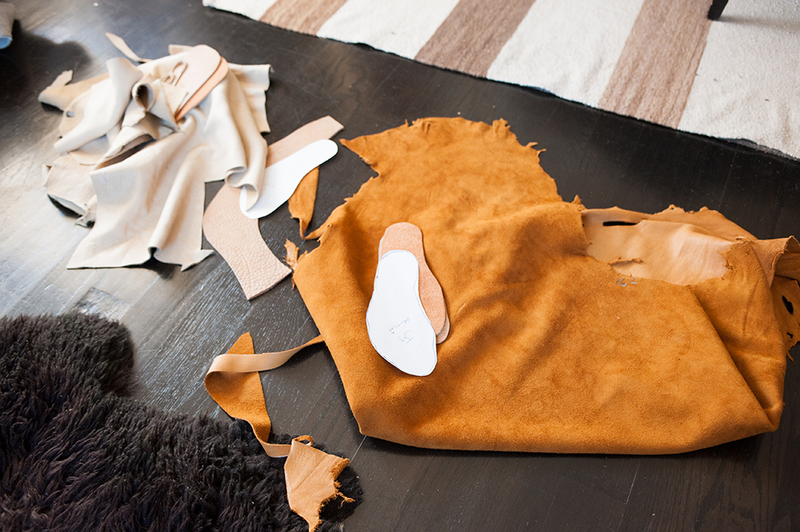 She made her first pair by referencing an old book on Native American shoe styles, noting the shapes, methods, and materials of construction, which served as a primer on the basics of moccasin-building. 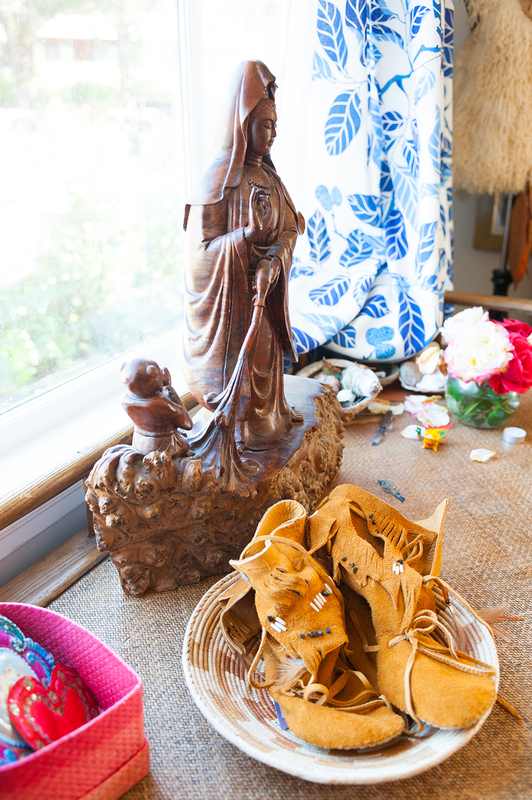 She outfitted her son in her hand-sewn shoes, which were intended to "fit his feet and mold to his shape.” She wanted him to “feel barefoot and connected to the ground as he found his way onto his feet." 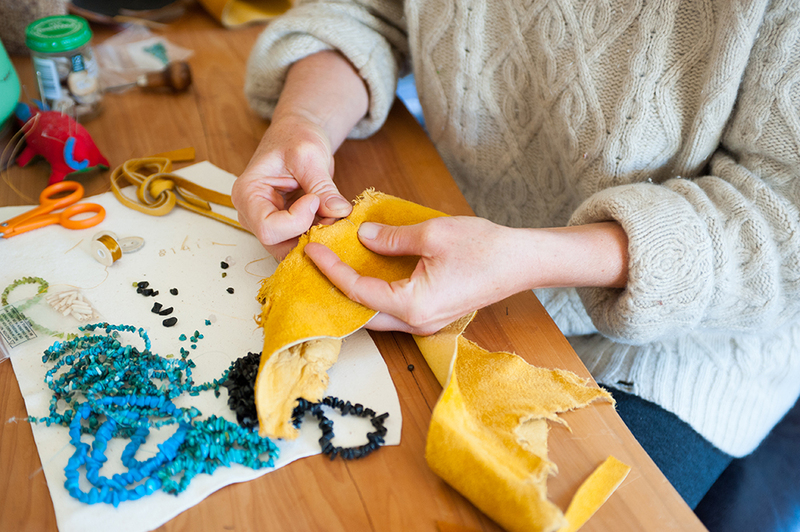 Since her first pair of felt moccasins, she has worked with several different materials, including buffalo, elk and deerskins. 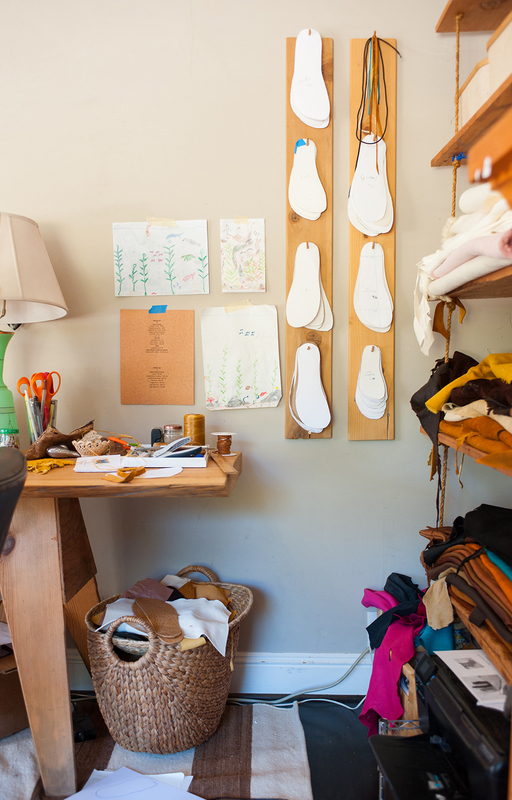 She’s made improvements through trial and error: by wearing her own shoes, she’s learned which need pattern adjustments and which ones cause discomfort. 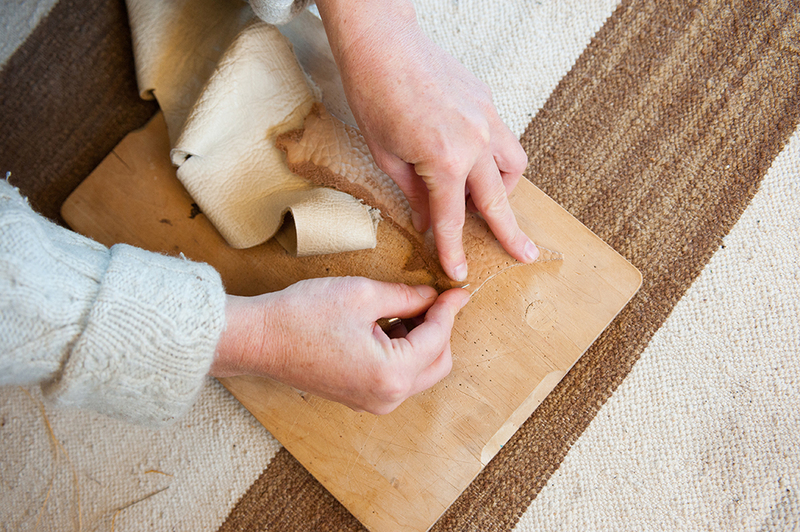 Working with materials that have been used by native people for thousands of years, Merrill has developed a craft that allows her to work in a satisfying way: with her hands. Her hands are an extension of who she is. "This is how people have sustained life and communities for as long as people have existed," she says. Thank you for subscribing to Edition Local. Every few days we introduce a new Maker, new limited-edition goods or a new locale. By subscribing you play an active roll in our community. We strive to tell rich and thought-provoking stories about real people in real communities. Please stay tuned as we have so much more to come!